The Winter anime season is trucking along, and I would like to take now as an opportunity to say that if you are not keeping up with Erased (Boku dake ga Inai Machi), then I highly recommend you check it out. It is by leaps and bounds the show of the season so far. It isn’t often an anime gets my heart racing to see the conclusion of a scene or sequence, but that is the case here. It’s still early, but this is one to take note of. I have begun trucking through Cardcaptor Sakura, trying to watch at least an episode per week, and while I didn’t manage to finish much up this past month as far as backlog goes, there was no lack of enjoyment to be had nonetheless. After humanity has been all but wiped out during the Second Impact, the people of Tokyo-3 shield themselves from the endless attacks of colossal creatures known as Angels. Ikari Shinji is a boy spending his days questioning his place in the world, but when he is offered the chance to pilot an Eva, which is humanity’s best chance at surviving against the Angels, he reluctantly accepts. Is this new life of his, straddled between loneliness and war, one worth living? Evangelion, along with a few others, is a gaping hole in my knowledge of what appear to be hailed as seminal anime series. Seeing that all three of the full length film remakes are available in the West now, I jumped at the opportunity to get started, and was not disappointed. A great story is simple on the surface, but dense with minor detail. The focal points of the narrative can be summed up in a few sentences, but offers a depth which can lead to much larger conversations for those seeking to have them. 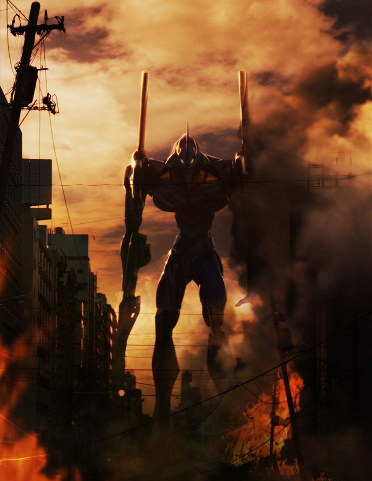 This is what Evangelion achieves, or at least with this first film. The stroke for stroke going-ons of the story aren’t that complicated, but the world which is presented within the story feels large. They tell you what you need to know, and let you observe the rest. The production quality is terrific, as I expected from a full length film, and while the combat sequences aren’t the most harrowing, one of the later battles in the film blew my socks off with its depiction of destruction on a large scale. It may be a controversial opinion, I know, but this is a movie worth watching. Evangelion 1.11 is a superbly produced film in its own right, and has me salivating at the thought that there are two more to go. 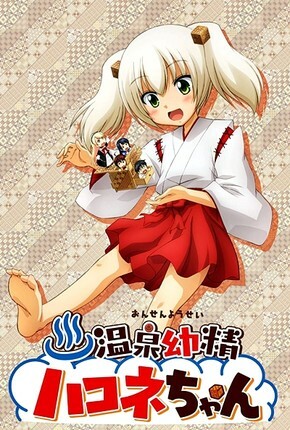 Hakone-chan is the fairy of an onsen in Japan, who has lied dormant until modern day. As she no longer has the power she once did, her appearance has changed from that of a voluptuous young lady to that of a small child, which has an apparent diminishing effect on how humanity sees and respects her. As slice of life comedy shorts go, this series gets the job done if you have a few minutes to kill here or there, but while some of the character designs are great, and their interactions with one another are fun to watch, the overall gags aren’t especially entertaining. They didn’t have much air time to worth with, and perhaps if they had full length episodes to work with there would be more worth recommending or commenting on, but Hakone-chan is a largely forgettable comedy series, and lacks any distinguishing traits to set it apart from other series of comedic shorts. It doesn’t do much, but it doesn’t outstay its welcome, either. Fun but forgettable, Onsen Yousei Hakone-chan has a cast of likable characters, but a lacking amount of entertaining activities for them to use as a comedic backdrop. We had a short spurt of warm weather there for a few days, which saw my general mood skyrocket, but Winter has seemingly stopped spacing out, and the cold has returned. I have recently been doing late night streams of games here or there on my twitch channel. If you happen to be out and about and see that I’m live, feel free to poke your head in to say hi. The company would be much enjoyed. I have no set schedule for these streams as of now, but keep an eye out if you’re into that sort of thing. That’s all for now though! Hope you’re doing good Jack.